Founded in 1949 with 12 members from North America and Europe, the North Atlantic Treaty Organization (NATO) has grown through seven rounds of enlargement into a defense Alliance of 29 sovereign nations. Turkey joined the Alliance in 1952 and has been a committed and valued Ally ever since. Montenegro became NATO’s newest member with its formal accession on 5 June 2017, demonstrating that NATO’s door remains open. NATO’s Open Door policy is still important for a number of reasons, not least because NATO enlargement over the years has brought greater stability, prosperity, and cooperation across the Euro-Atlantic region. Although Allies sometimes have differences, including on issues related to trade and climate change, we stand united in supporting our founding aim: To defend each other and our nearly one billion citizens. A central tenet of the Alliance, enshrined in Article 5 of the North Atlantic Treaty, is that an attack against one Ally will be regarded as an attack against all. As NATO faces the most complex and challenging security environment since the end of the Cold War, our Alliance continues to adapt. Transatlantic unity on defense and security, coupled with NATO’s ability to adapt to changing security challenges, has enabled the Alliance to keep the peace in Europe and protect our citizens for nearly 70 years. As NATO faces the most complex and challenging security environment since the end of the Cold War, our Alliance continues to adapt. After Russia’s illegal annexation of Crimea in 2014 and the rise of ISIL/Daesh that same year, NATO responded quickly and with determination to implement the most significant increase in our collective defense in a generation. Deployed, on a rotational basis, four multinational battle groups in Estonia, Latvia, Lithuania and Poland. Set up eight multinational headquarters in the eastern part of our Alliance. Tripled the size of the NATO Response Force to 40,000. Established a 5,000-strong, very high readiness joint task force ready to move within days. Turkey has agreed to take on a leading role in this Force in the near future – one of many ways in which Turkey is demonstrating its commitment to solidarity within the NATO Alliance. Increased our presence in the south east of the Alliance centered on a multinational brigade in Romania. Boosted air policing and other defensive efforts in the Baltic and Black Sea areas. All of NATO’s actions are defensive, proportionate, and fully in line with our international commitments. We remain open to meaningful dialogue with Russia. NATO does not want a new Cold War, nor does our Alliance seek a new arms race. Our aim today is the same it has always been: to prevent conflict, not to provoke it. That is why the NATO-Russia Council met at the end of May 2018 and on six other occasions since 2016. The Alliance is determined to engage with Russia, with the goal of improving transparency and reducing risk. However, returning to “business as usual” with Russia would require a profound change its country’s behavior. Allies continue to hope Russia will adopt a more responsible posture in line with international norms. In the meantime, NATO will keep channels of communication open in an effort to prevent any mistakes or miscalculations from spiraling out of control. 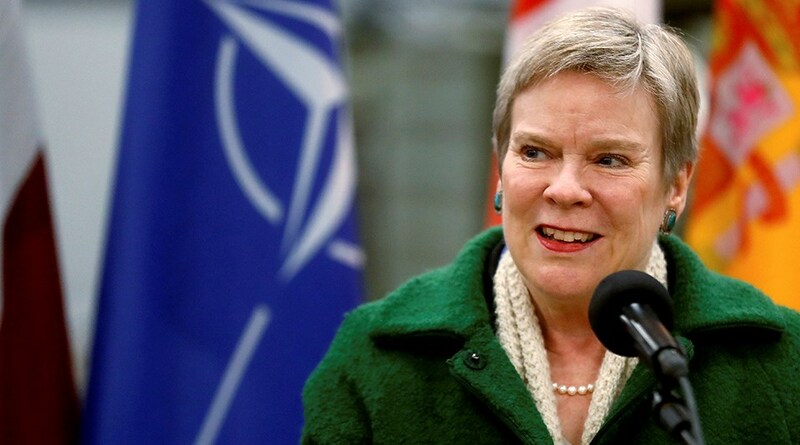 Over the past few years, NATO has also been engaged in a multi-faceted endeavor designed to project stability beyond our borders and fight terrorism. Instability and terrorism pose a direct threat to the security of NATO countries. Indeed, international terrorism is a global threat that shows no respect for borders, nationalities or religions. As such, this is a threat that the international community must address together. As an Alliance dedicated to defending the peace and security of our members, we understand the need to bolster stability in our neighborhood. If our neighbors are more stable, we are more secure. To that end, NATO cooperates with a diverse network of more than 40 partner countries and international organizations. Since 1990, the Alliance has developed partnerships with countries in the Euro-Atlantic area, the Mediterranean and the Gulf, and with others from across the globe. NATO pursues dialogue and practical cooperation with these countries on a wide range of political and security-related issues. Returning to ‘business as usual’ with Russia would require a profound change in that country’s behavior. In Afghanistan, NATO took the lead of the International Security Assistance Force (ISAF) on 11 August 2003. As mandated by the United Nations, ISAF’s main objective was to enable the Afghan government to provide security across the country and develop new Afghan security forces to prevent Afghanistan from ever again becoming a safe haven for terrorists. ISAF concluded in December 2014 when full responsibility for Afghanistan’s security was transferred to Afghan security forces and institutions. All Allies contributed to ISAF, as did many partners. Turkey has made substantial contributions to NATO’s missions there, supporting ISAF from 2003 until the conclusion of that operation in 2014. During that combat mission, 15 Turkish soldiers paid the ultimate price. Allies deeply appreciate the sacrifices made by these brave Turkish personnel and their families. Today, Turkey plays a key role as a framework nation for the Resolute Support Mission in Afghanistan. Turkey also plays an important role in the heart of Asia via the Istanbul Process, working to expand political and practical cooperation between Afghanistan and its neighbors. Over the years, our experience in Afghanistan and elsewhere has taught us that training local government forces is one of our best weapons in the long-term, generational fight against terrorism. This not only enables countries to provide for their own security and take the fight against terrorism into their own hands, but it also builds home-grown capacity and self-reliance that can be essential in creating the conditions for long-term stability and economic development. That is why NATO is adding some 3,000 more trainers to our Resolute Support Mission (RSM) in Afghanistan, increasing our total to 16,000 personnel from 39 NATO Allies and partners. Resolute Support is a non-combat mission that provides training, advice, and assistance to the country’s institutions, including security-related ministries, and among the senior ranks of the army and police. The mission also performs supporting functions in several areas, including operational planning, budgetary development, force generation process, management and development of personnel, logistical sustainment, and civilian oversight to help ensure the Afghan security forces and institutions act in accordance with the rule of law. With NATO’s help, Afghan forces have made substantial progress. They are responsible for the nation’s security and they lead the fight against the Taliban and international terrorist groups in the country. NATO will continue to work with Afghanistan, including by supporting Afghan Special Forces, building up the Afghan Air Force and strengthening their Command and Control structures. We are also increasing our support for partners across the Middle East and North Africa with a range of training and defense capacity-building programs. The goal is to help them defend themselves and to better face external threats while strengthening their institutions. NATO has been training Iraqi personnel in both Jordan and Iraq. By training Iraqi instructors and helping to develop Iraqi military schools, we will ensure that our expertise can reach thousands of others. We are also developing a capacity-building package of support for Tunisia and Jordan. We already support these partners with training in areas such as special forces, intelligence, and countering improvised explosive devices. We are now looking into expanding our cooperation to include border security, demining, and security sector reform. By building the capabilities and resilience of our partners, they are better able to bolster stability, manage crises, and prevent conflict. NATO operates a fleet of Airborne Warning & Control System (AWACS) aircrafts, which provide the Alliance with air surveillance, command and control, battle space management, and communications. As a member of the Global Coalition to defeat ISIS/Daesh, NATO provides AWACS data to improve situational awareness and make the skies safer. AWACS can detect an aircraft hundreds of kilometers away, enabling them to monitor airspace in Iraq and Syria from inside Turkish airspace. This makes an important contribution to the global coalition against ISIS/Daesh. We recently created a regional Hub for the South, based at NATO’s Joint Force Command in Naples, Italy. The work of this Hub will increase the Alliance’s understanding of the security challenges in the region and our ability to respond to them effectively and expeditiously. The Hub will contribute to improved regional situational awareness and understanding of the regional threats, challenges, and opportunities by serving as a central point for managing and sharing information. This will help strengthen dialogue and cooperation among NATO's experts and their counterparts from partner countries, civilian organizations, international organizations, and other non-NATO entities. The Hub will also contribute to the implementation of the Individual Partnership and Cooperation Programs and Defense Capacity Building Programs for our many partners in the Middle East and North Africa. Establishing a new Hybrid Branch and terrorism intelligence cell at NATO Headquarters, along with the appointment of a counter-terrorism coordinator, will also help us increase our capacity in the ongoing fight against the terrorist threat. We know all too well that terrorism must be fought on many fronts and with a range of strategies. NATO is continuously reviewing our capabilities and developing our role. Turkey has the second-largest army in the Alliance. It also occupies a strategic location that exposes the nation to the turmoil spreading across parts of the Middle East. In this region, NATO recognizes that Turkey faces a number of difficult security challenges. The country has suffered more than any other Ally from brutal terrorist attacks, and NATO stands in strong solidarity with Turkey in the counter-terrorism fight. As a valued Ally, Turkey has played a leading role in shaping and supporting NATO’s ongoing efforts in the generational fight against terrorism. During my trip to Ankara and Istanbul earlier this year, I had the privilege of visiting the Centre of Excellence for Defense against Terrorism in Ankara. The Centre’s mission is to provide key decision makers with realistic solutions to terrorism and counter-terrorism challenges. Since its founding in 2005, this facility has worked with some 12,000 students from more than 100 countries. Today, Turkey plays a key role as a framework nation for the Resolute Support Mission in Afghanistan. When it comes to NATO’s operations and missions, Turkey has made significant contributions. In addition to Afghanistan, Turkey supports NATO training programs for Iraqi officers, and contributes to NATO’s efforts to build stability in the Western Balkans, including through our operation in Kosovo. Turkey also contributes to NATO trust funds for Ukraine, supporting improvements for cybersecurity, medical rehabilitation, and other areas crucial to the security and stability of that country. Throughout the history of the Alliance, NATO has stood in solidarity with Turkey and has contributed to the country’s security. Immediately after the July 2016 coup attempt in Turkey, NATO’s Secretary General, Jens Stoltenberg, condemned the attempted coup and expressed NATO’s solidarity with our valued Ally. He visited Ankara shortly thereafter in September and saw with his own eyes the damage to the parliament building. It was a profound experience for him. He has spoken of the shock he felt on that occasion, seeing the damage to the parliament building and hearing about courageous citizens and political leaders who defended Turkey’s democracy. All Allies agree that any attempt to undermine democracy in any of our countries is unacceptable. NATO has increased its military presence in recent years to help Turkey respond to a more demanding security environment. At Turkey’s request, NATO Allies have been reinforcing Turkey’s air defenses since 2013. Spain and Italy have missile batteries deployed near Turkey’s southern border. In years past, personnel from the Netherlands, Germany, and the United States have also contributed to this mission. Today, PATRIOT and SAMP-T systems help to defend Turkey against the threat of missiles from across the border in Syria. This mission is important now more than ever and NATO Allies are committed to it. In addition, we have enhanced patrols by NATO AWACS, our airborne warning and control system surveillance aircraft. I was honored to have the opportunity to visit the Konya base in September 2017 to see at first hand the operations of AWACS planes out of that critical facility. Konya has served as a forward operating base for NATO AWACS surveillance aircrafts since the 1980s. Today, NATO AWACS operating out of Konya conduct patrols in support of Turkey but also in support of the Counter ISIS Coalition. NATO has also increased our naval presence in the Black Sea area and in the eastern part of the Mediterranean. All of these activities illustrate NATO’s strong commitment to the defense of Turkey. For many centuries, security meant addressing threats on land and at sea—and, more recently, in the air. But transformed by advances in technology, threats today can take many shapes and come from many directions. One thing is clear: Rapidly developing technologies will dramatically change the nature of conflict in the future. This means that defending ourselves will increasingly entail countering the interrelated challenges surrounding hybrid—or asymmetric—techniques, especially methods of cyber warfare. Hybrid methods draw on a range of tools, techniques, and instruments and blur the lines between peace, crisis, and war. It is practically impossible to imagine any conflict in the near future that does not include a substantial asymmetric dimension. This is an area where Clausewitz’s familiar dictum about “the fog of war” has become even more densely clouded. Hybrid is about blurring the lines between peace and crisis, spreading alternate facts, creating confusion and chaos, sowing the seeds of doubt and division, which are all designed to weaken our resolve. Ultimately, this ambiguity aims at limiting our ability to take decisions to defend ourselves. NATO has increased its military presence in recent years to help Turkey respond to a more demanding security environment. Writ large, these tactics are meant to undermine the rules-based order—a system of international law and alliances that have ensured our security and prosperity for decades. They undermine the notion of norms, since, according to this approach, all norms and truths are relative and equal. Of course, asymmetric techniques are not new; they are as old as the Trojan horse. But new technologies have given them a tremendous boost. The information technology revolution and the advent of social media are prime examples. Whether interfering with elections, engendering doubt and confusion about current or historical events, fostering fear or hatred or even violence, the challenge posed by misuse of information technology is very real. Disinformation campaigns are part and parcel of new forms of hybrid actions that can also include a combination of espionage, military pressure and intimidation, and cyber-attacks on critical infrastructure. Again, there is nothing new about these techniques but they have been super-charged by technological development. As we are so dependent on information systems, we must be able to defend them. Cyber-based threats are unlike any we have faced before. Employed maliciously, software can turn the Internet into a viral pathway to infiltrate and infect, to debilitate and destroy. As technology advances, cyber tools are becoming far more versatile and multi-faceted. To seek out vulnerabilities in critical infrastructure or telecommunications – and limit the functioning of government agencies and our Command and Control. To disrupt essential services such as electricity or transport – and complicate the lives of our civilian populations. To destroy equipment by causing it to malfunction – and constrain the ability of the state to operate. To manipulate the information flows on which the world economy and human society increasingly depend, including by distributing fake news and propaganda – and create public discord and hamper public debate. This versatility—as well as the relatively low cost of cyber tools—makes them an attractive option for those who seek to harm us or undermine our cohesion. They are seen as low-risk and potentially high-benefit because they usually fall outside the notion of armed aggression and they are often difficult to detect in real time. Because of this ambiguity, definitive attribution can be time-consuming and challenging. Whether interfering with elections, engendering doubt and confusion about current or historical events, fostering fear or hatred or even violence, the challenge posed by misuse of information technology is very real. To succeed in dealing with the cyber threat in the years ahead, we must change this calculus. We must increase the costs to perpetrators associated with launching cyber-attacks. That is the essence of deterrence. All of this means that NATO must be just as effective in the cyber domain as we already are on land, in the air, and at sea. That is why we made a cyber a domain of operations and agreed that a cyber-attack could provoke an Article 5 response. We are determined to strengthen our cyber-defenses and to stay ahead of the curve. As always, we will act in accordance with international law, which Allies have recognized applies in cyberspace. This requires tough defenses against cyber-attacks and the ability to respond quickly when attacks occur. It means having the best possible partnerships with governments and industry, so that we are sharing threat information in real time as well as techniques to defend against these threats. Such partnerships also help us to speed up attribution, which itself may provide a measure of deterrence. Most importantly, we are working with our Allies and partners to ensure that they are as resilient as possible against cyber-attacks—that their cyber hygiene is top-of-class. Our best path forward is tried and tested and has proven effective time and again. It is only by working together that we will be able to keep pace with the evolving threats, deter and defend against them, and realize the benefits that these new technologies have to offer. We must be agile and flexible, ready to respond at the speed of relevance. Only in that way will we get the best out of new technologies and not be overwhelmed by them. A number of key decisions were made at the Brussels Summit in July 2018 that will have profound implications for NATO’s adaptation in the years ahead. NATO leaders decided on measures to further strengthen our deterrence and defense capabilities. One way to do this is to ensure that we have a robust and agile command structure, which underpins both our deterrence and defense posture as well as our ability to project stability and fight terrorism beyond NATO’s borders. A new command for the Atlantic was established to ensure that sea lines of communication between Europe and North America remain open and secure, along with a new command focused on military mobility to speed up the movement of military forces and equipment within and across Europe. These steps will increase our readiness and bolster our ability to reinforce when needed so that we have the right forces in the right place at the right time, across the Alliance. We also set up a new cyber operation center, which is essential as we strengthen our cyber defenses. NATO leaders adopted additional measures to bolster our collective defense with a range of activities to address the challenges of our partners in and around the Middle East and North Africa. We increased our commitment to Afghanistan, strengthening our training mission to 16,000 troops, and funding for the Afghan forces so they will have the ability to secure their country and shore up the foundation for peace. We also launched a new training mission in Iraq to ensure that the hard-won gains made by the Global Coalition and Iraqi forces are preserved. ISIS must not be allowed to re-establish itself. Our efforts included enhancing our support for partners like Tunisia and Jordan. Our tailored packages of support will help them fight terrorism, prevent crises, and manage them if and when they happen. We also reaffirmed our support for our partners to the east, such as Georgia and Ukraine. Another key theme of the Brussels Summit was strengthening our cooperation with the European Union—which has already reached unprecedented levels. Our two organizations work together on a broad range of issues including countering hybrid threats, cyber defense and maritime security, and military mobility. EU defense efforts can contribute substantially to transatlantic burden-sharing if they complement, and do not compete with, NATO’s capabilities. A key theme of the Brussels Summit was strengthening our cooperation with the European Union—which has already reached unprecedented levels. In July, NATO’s Secretary General signed a new Joint Declaration with Presidents Tusk and Juncker setting out a shared vision of how NATO-EU cooperation can help address our most pressing security challenges. It is also important to underscore that the European Union cannot protect Europe by itself. NATO is committed to the collective defense of all of its members, and NATO countries outside the EU play a fundamental part in the defense of Europe. In point of fact, after the United Kingdom leaves the EU due to Brexit, fully 80 percent of defense spending in NATO will come from non-EU Allies. Finally, fair burden sharing was a major theme at the Brussels Summit. In 2014, Allies pledged to stop cuts to their defense budgets, increase defense spending as their economies improved, and move towards spending two percent of their GDP on defense within a decade. We are delivering. After many years of decline, all Allies have stopped the cuts and have started to increase. Several Allies have already reached the two percent guideline and more will follow. So, the Alliance is moving in the right direction. We have momentum behind us, but we cannot afford to let up. At the Brussels Summit, we took stock of our progress and developed concrete plans to redouble our efforts. In a more challenging and unpredictable world, we need to invest more and better in defense. Doing so underpins everything we do, sustaining our ability to adapt, deter aggression, and fight terrorism. NATO is the most successful defense alliance in history because its members stand united, and the Alliance is able to adapt as the world changes. As we look to the future following the Brussels Summit, NATO is confident that our shared values of democracy, individual liberty, and the rule of law will be upheld and the safety of our citizens protected because we are stepping up—with unity, strength, and determination—to address the evolving threats to our security. 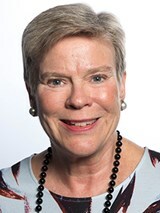 Rose Gottemoeller is the Deputy Secretary General of The North Atlantic Treaty Organization (NATO).